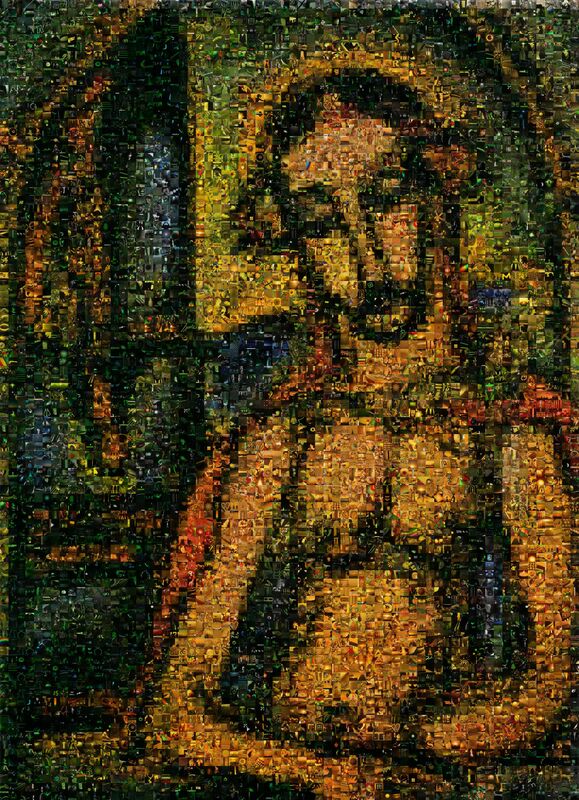 Monday I head off up to Durham to do some seminars at The Community of Aidan and Hilda's summer school on "Celtic Christianity and the Emerging Church'... back 2 weeks today! I saw the Emerging Church round the back of the bike sheds smoking a spliff! I'm not saying that the Emerging Church advocates smoking pot... but they do say having a beer is OK, and some of them talk about community in a way the Hippies used to, and Hippies smoke Pot... so therefore we can make a wild leap and suggest that they might do... now we can say people should steer clear of the Emerging Church because they might just use dope... but I don't know if they do, but they might, but I have no evidence, but it would be helpful to me and my view if they did, or at least if people thought they did, so I'll write an article, full of disclaimers of course, that suggests a possibility that they might, and you never know people might get confused and believe that they actually do... Hey isn't the Emerging Church evil!? ... its enough to make anyone turn to drugs! Now I know there are the folks that attempt a mix between dedication to Christianity and marijuana, but those are few, at least in my circles. What I get is folks that smoke and give slight attention to Christ and church. That is not surprising because it is consistent with everything else marijuana has done in their lives. They are passionless and ambitionless, so their slight attention to church and Christ fits in with their lack of drive for everything else. Some people unwind after particularly bad day at work with a glass of wine or a beer when they get home. 1 glass, every couple of days after work...is that what you would consider a problem? I wouldn't. I just happen to prefer a small "hit from the bong". Fair enough Ken you found one voice to support your hypothesis, I saw a documentary recently where a family of fundamentalists advocated polygamy and violence towards homosexuals... fortunately I am not so silly to believe that that means all fundamentalists do likewise! In attractional churches, the church services are the primary context for evangelism and the primary gateway through which people are connected into cell groups and other aspects of the community life. The services dominate and mediate the life of the community. There is consequently great pressure on services to be as accessible to non-Christians as possible if they are to grow. Is it any wonder they have become entertainment driven ... audience driven? And cell groups have little incentive to engage with the world beyond, their only "missional" job is to invite their friends to hear the professional evangelist at the service. Is this really the way things are supposed to work? In missional churches a different dynamic comes into play. Because the church is engaged as a community in the wider community of the culture, other times become the primary context for social action and welcoming non-Christians into experiences of Christian community. Less expectations need be loaded onto a single hour each Sunday. Resources may be freed up. There is space for the rites of the church to resume their original status, as the inner mysteries of the church. Now I want to introduce some other stuff I have learned from engaging with other religions. The fastest growing religions in Australia, Wicca and Buddhism, reserve many of there deepest mysteries and rites for initiates. They do not water their rites and practices down to make them accessible for casual visitors, yet these movements are growing far faster than even Pentecostal Christianity. Is that not sufficient demonstration that welcoming services may not be as universally expedient as we have been led to believe? 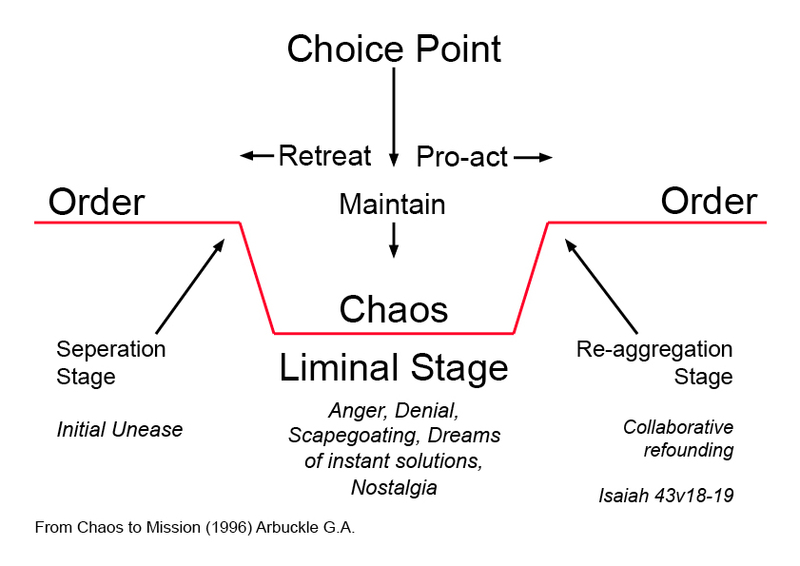 Following on from the "Entrepreneurs" and "Resonating" posts, I have been reading Gerald Arbuckles "From Chaos to Mission - Refounding Religious Life Formation" (1996) He talks about the need to respond appropriately to the place of chaos Religious life finds itself in. He says that it isn't a case of 'renewal' - modifying old methods but of 're-founding' - going back to first principles, allowing the imagination to dream of alternatives, radically rethinking the way we do things, a creative quantum leap, owning the chaos and returning to the sacred time; the stories, the fundamental questions and the founding vision of the group... Re-founding is then a collaborative action/state. Arbuckle talks about three stages; 1) Initial unease, the separation stage. One could talk about a sense of disconnection and a growing awareness of the dissonance between the action and the foundation story of the community/group. 2) The liminal stage or reflection stage "that moment between old patterns of reality and new ways of looking at reality". In this stage Arbucle says there is a point of choice; do we seek to retreat, to wallow in nostalgia, to cling to past securities, do we try to stand still and maintain the status quo, to be paralysed by the chaos or do we "move forward with risk and hope in an uncertain world"? 3) Re-aggregation, or re-entry. A new application of the vision and story of the community. 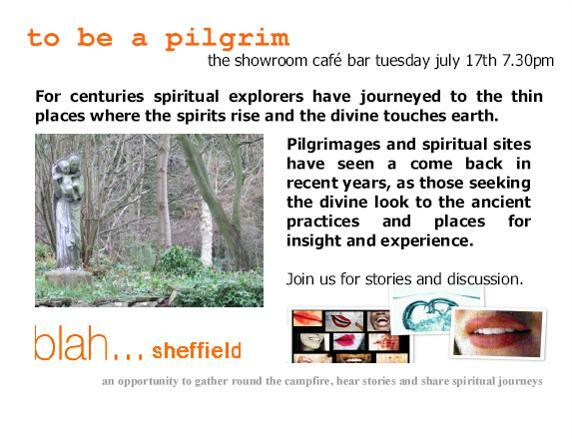 There will be more thoughts on this as I'm doing a Blah in Sheffield on Pilgrimage next month... see above! Drake’s prayer is an invitation to discomfort, as much as an expression of longing to stretch out into every corner of possibility. But, given the alternative — a dull Church and a diminished life — I think that it is a risk worth taking. Shane Claiborne is an original voice, a creative spirit, in a gathering movement of young people known as the "new monastics." With virtues like simplicity and imagination, they are engaging great contradictions of our culture — beginning with the gap between the churches they were raised in, the needs of the poor, and the "loneliness" they find in our culture's vision of adulthood. continuous change, passage, or movement.